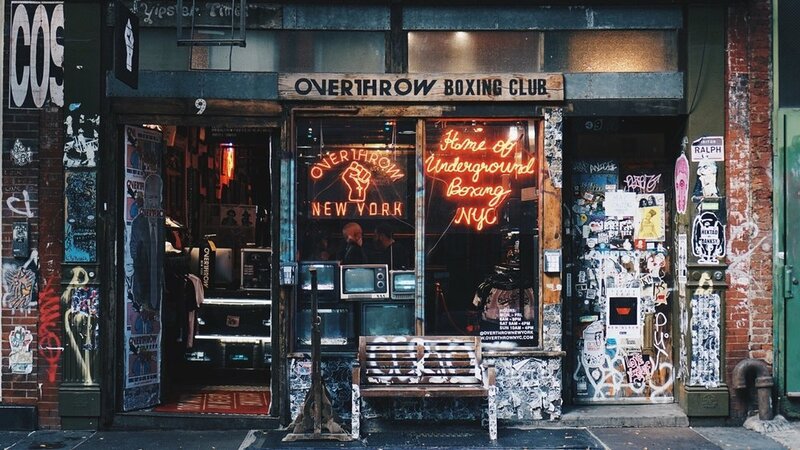 Boxing continues to trend as a workout and Overthrow Boxing Club brings it in all its gritty glory at its headquarters on Bleeker as well as its location in Williamsburg. With its doors open, at anytime you're seeing people entering, classes taking place or you could also see Will Smith, Jennifer Lopez and even Usher getting a workout in. the activist group, The Yippies. The ability to peek behind the curtain to see this gym in action was the exact vision that Joey Goodwin, founder of Overthrow, had in mind. Think of this studio as Fight Club brought to life in a setting with posters and stickers on the wall, an upstairs studio and a red room for smaller classes downstairs. Of course, there is the cool neon that is showcased throughout. former Golden Gloves Champion, Alicia "The Empress" Napoleon. Unlike studio fitness brands that are known for premium amenities for beauty products that can be enjoyed post workout, Overthrow does not have this. But they do have a line that is based in the love of boxing and it was actually created prior to the launch of the gym as Goodwin is an entrepreneur who has also been in the fashion industry. The line, also known as Overthrow, allows you to wear your fighting spirit in and out of the ring and has had great editorial pieces that you could wear for a night out. 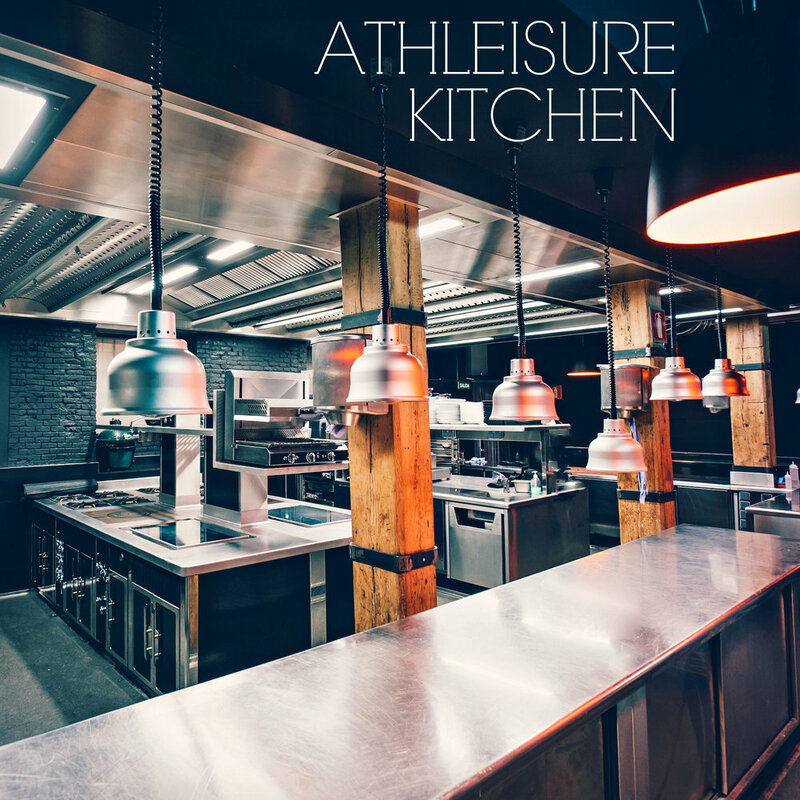 Read more form the Aug Issue and see Athleisure List | Overthrow Boxing Club in mag.